So you want to go see Yo Gabba Gabba! perform live at the Elgin Theatre, do you? Well, you can still enter my contest to win 4 free tickets along with their CD. But if you're looking to buy tickets, you might be happy to know that you can now save $5 off tickets by using the coupon code "MUNO" at checkout or by calling 416-872-5555. You can also click on the picture above to be directed to the Yo Gabba Gabba! ticket finder on Ticketmaster. 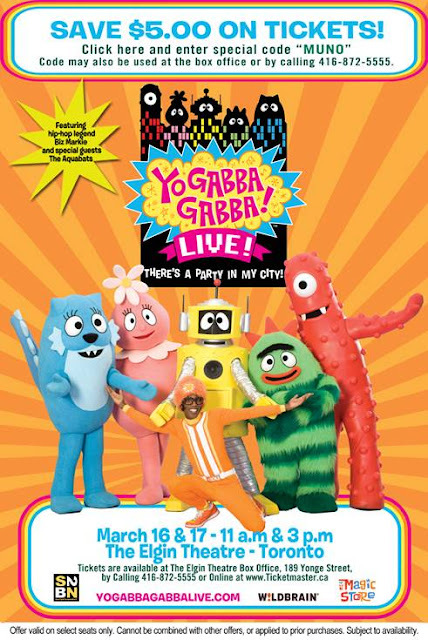 And to get your little ones all excited about the concert (and keep them occupied for... er... a good five minutes if they're like my kids), why not print out this Yo Gabba Gabba! 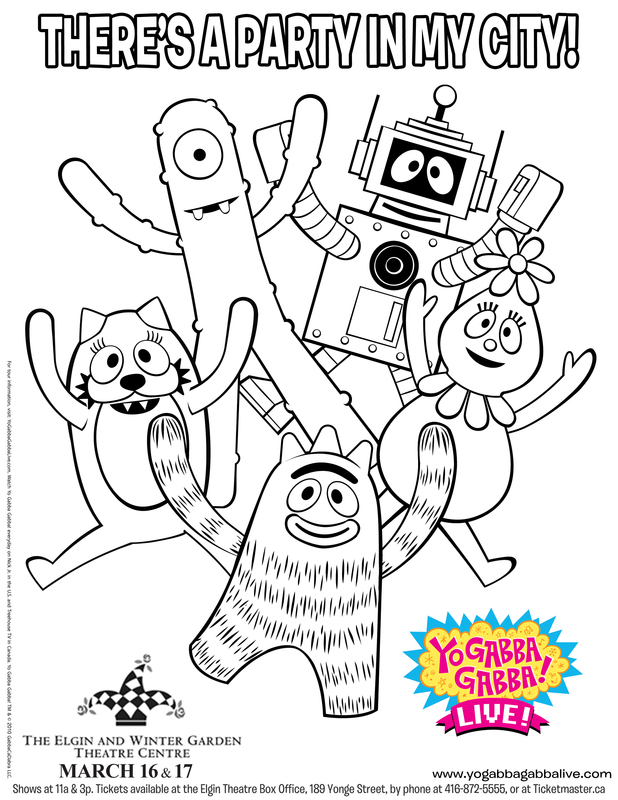 colouring sheet featuring Brobee, Foofa, Plex, Muno, and Toodee.